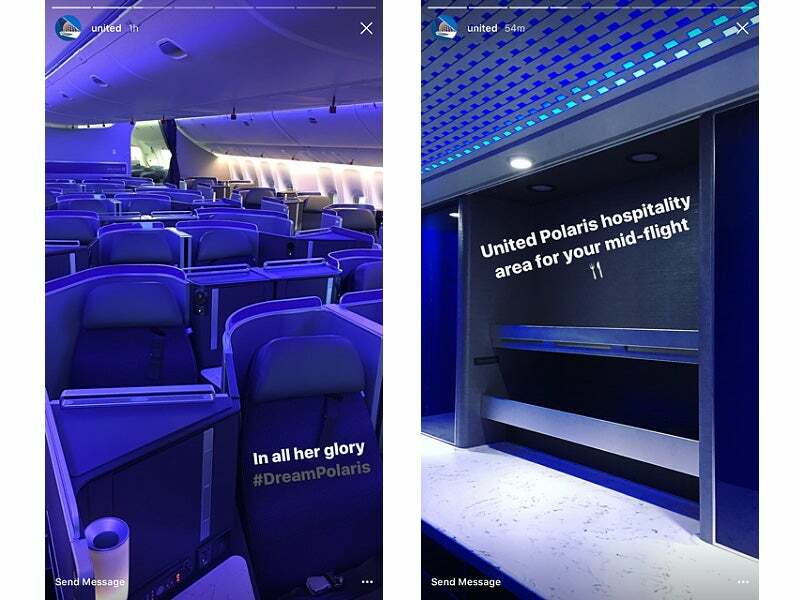 It’s been just over six months since United unveiled its new Polaris business class, and the airline’s first aircraft with the new product — a 777-300ER (or 77W) — is just about ready to take off. While UA rolled out some Polaris amenities on December 1, including a fantastic new lounge and updated service in business and first class, we’ve been eagerly awaiting the arrival of the airline’s 77W, given that it’ll be the first plane to offer the new Polaris seat. Officially, the 777-300ER launches with Newark-San Francisco p.s. service on February 16, followed by San Francisco-Hong Kong on March 25, but United should be taking delivery of its first plane any day now, at which point it’ll perform FAA tests followed by “surprise and delight” service on TBD domestic routes. 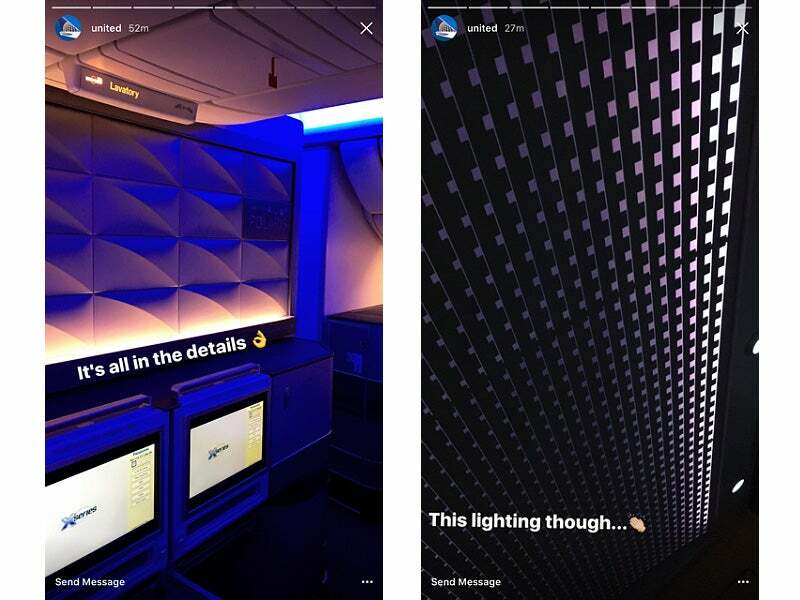 With the delivery now just around the corner, it looks like United employees managed to get an early look at the new plane, which they’ve shared with us on Instagram. 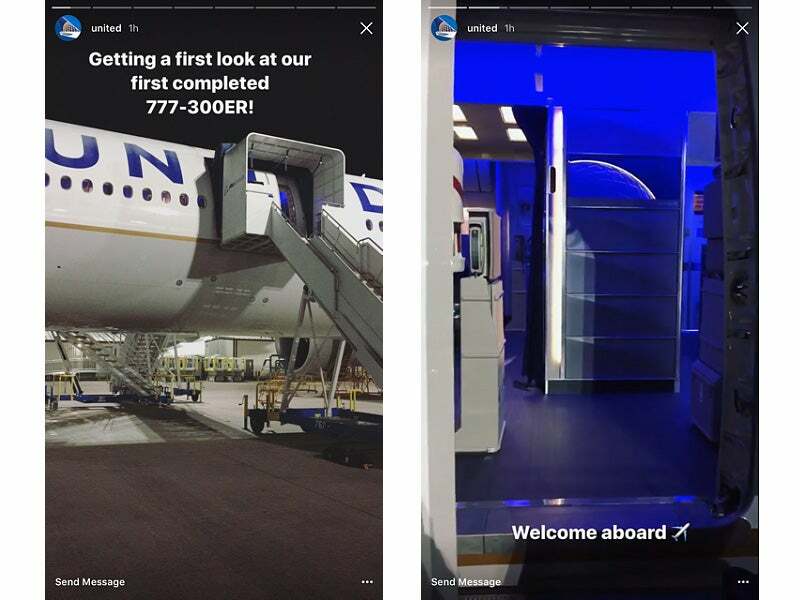 You can catch the tour in full on United’s Instagram page via your smartphone app, but we’re also including the images below. Here’s our first look at the new business-class cabin. The 777-300ER has a whopping 60 Polaris seats in a modified 1-2-1 configuration, divided between two cabins. There’s no first class on this plane. The finishes look fantastic — there’s far more attention to detail here than we’ve seen on any other US-based carrier, down to the wall panels and ceiling lights. 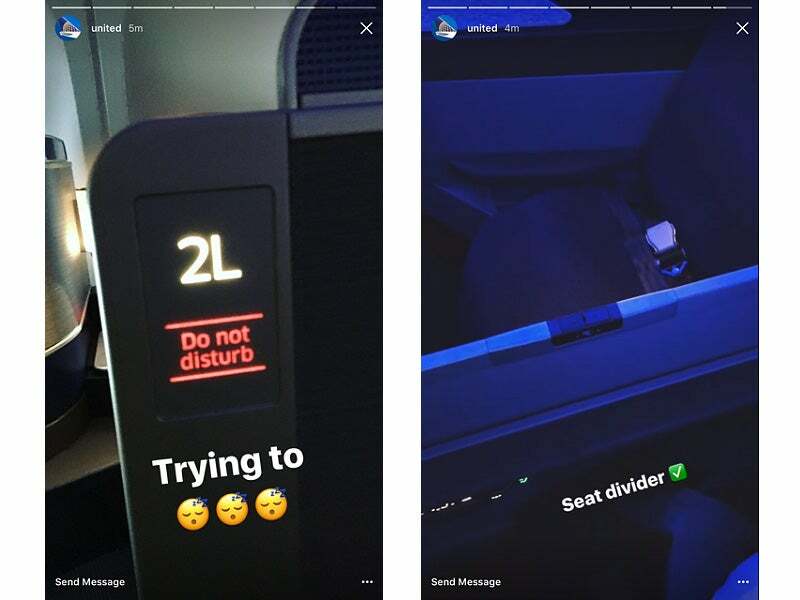 These new biz seats are by far the most private in United’s fleet — they’re the first to offer a Do Not Disturb light, sure, but even more exciting is the mechanical divider that adds privacy between center seats. We’ll be on the inaugural flight in February, so stay tuned for a full aircraft tour. In the meantime, if you happen to catch the 777-300ER on an unscheduled domestic flight, please send along some pictures to tpgtips@thepointsguy.com. What do you think of United’s first 777-300ER?